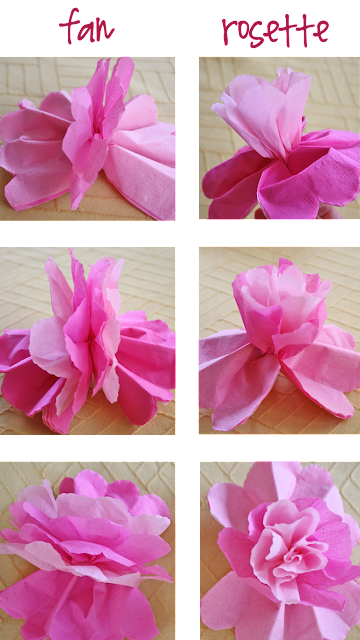 When you're separating the petals, pull them toward the center like a daffodil, especially the ends. Otherwise you'll end up with a fan shape. 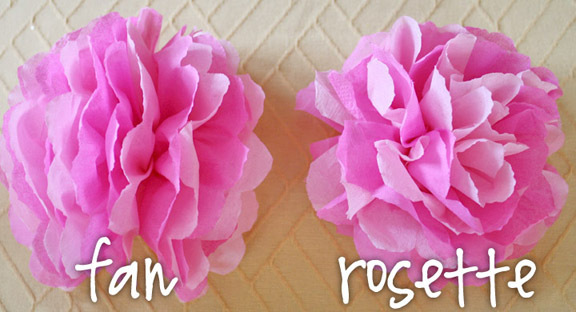 Now, the fan shape is still cute, but if you're going for the rosette, think daffodil. No need to expand here, check out the photos and you'll get the idea. So, the next time you want to make tissue paper roses (and not fans), you know what to do.